This recipe made for a flavorful, quick, and tender dish. The ingredients are few and simple, and with some tweaks here and there the dish can easily be changed. The best part about pressure cooking isn’t necessarily how quickly it cooks (although that is a plus) so much as how little of a mess was made compared to using a conventional oven. (Optional: Brown chicken on all sides) Add wine to pressure cooker. Evenly coat chicken with salt, pepper, and lemon juice. Add to pressure cooker with lemon halves and set cook time for 7 minutes. 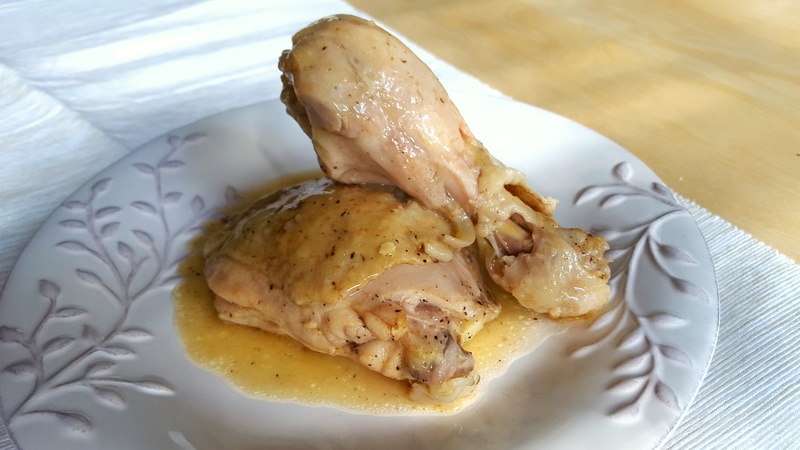 After cooking, remove chicken from pressure cooker and pour juices into a separate container. Allow 2 minutes to settle, and using a spoon, carefully remove the top layer of fat from the broth until only the juices remain. Return to pressure cooker (if you have a saute option, otherwise pan saute over medium heat), and slowly add flour while stirring until your gravy achieves desired thickness. Add to chicken, toss to coat, and enjoy! Tip: Add a whole head of peeled garlic in place of the lemon and throw in some rosemary to mix things up. Another Tip: This dish is perfect for large portions! After cooking, separate and freeze your leftovers for another day.